Local blogger, artist, historian, raconteur, and businessman Philip Howard writes the Ocracoke Island Journal and monthly for his Ocracoke Newsletter. He gave the Current permission to share this blog post. Full disclosure: Sundae is the Current's publisher/editor. Not only did I have no idea who Arnold Sundgaard was, I had never seen or heard of the song. 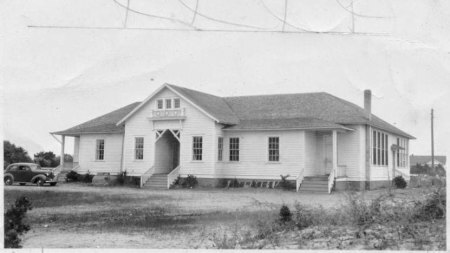 The original Ocracoke School, built in 1917.
by a green cedar tree. is the school that I love. and it shines from the shore. to the bright school house door. the white school on the sands. Thanks to the world wide web I soon learned that Arnold Sundgaard (1909-2006) was a nationally recognized American playwright, librettist, and lyricist. In addition to writing short stories and children's books, he taught at Columbia University, Bennington College, and the University of Texas. He specialized in drama and theatrics, and was probably best known for his role in the production of six Broadway plays. He even has his own Wikipedia page. 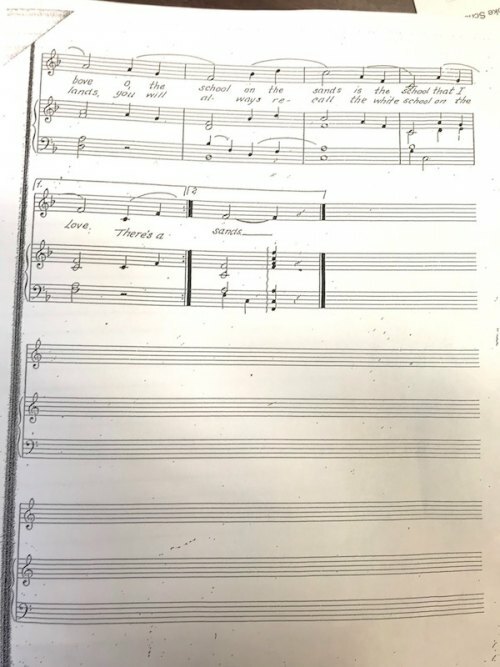 Just as on the “Ocracoke School Song,” Sundgaard often collaborated with the prominent composer, Alec Wilder. This new wealth of information led to the even more puzzling question, how did a prominent, celebrated lyricist come to write a beautifully simple song in homage to Ocracoke’s tiny school? After a little more research I discovered "The Lowland Sea,” a one-act folk opera (Libretto by Arnold Sundgaard, Music by Alec Wilder), written in 1952. You can listen to it here, as performed May 16 & 17, 1963, in Dolton, Illinois, at the Thornridge High School Spring Musicale. The old 1917 schoolhouse, painted bright white, was replaced in the early 1970s with the current, larger and more modern building. 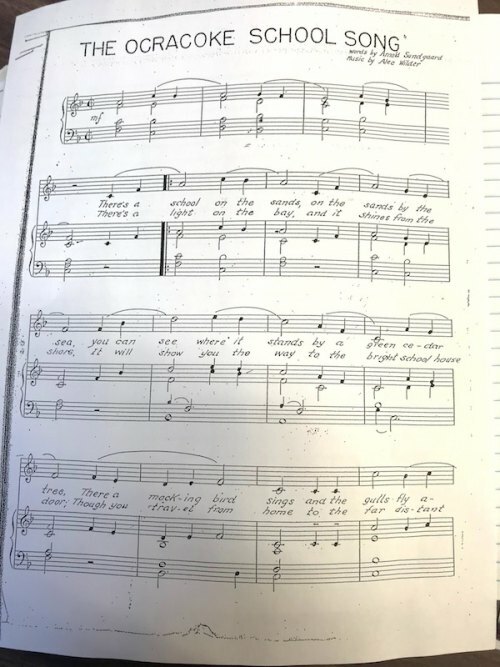 Recently, the school students are again learning to sing “The Ocracoke School Song.” Maybe now it will be recognized and preserved as the official song for the Ocracoke School. A small choir of girls performed the school song at the Ocracoke School PTA Variety Show last week. Thanks to Essie O'Neal (4th grade), Juliette Jordan and Angela Flores (5th grade), Elsie Kattenburg and Mariah Temple (7th grade), and Katie Kinnion and Iris McClain (8th grade) for learning and sharing this little piece of Ocracoke history and culture.